Last week, I mentioned that if John Bel Edwards wanted to do something a little more meaningful in helping teachers than simply upping their pay less than $100 per month, he could focus on certain policy reforms that actually improve school and classroom environment. One of those policy reforms is class size. If you were to ask any ten teachers in the state of Louisiana who taught grades 4 and up what the most challenging aspect of teaching is, I feel certain about half of them would tell you teaching 25-35 kids near the top of their list. And I can personally vouch for how frustrating it is to put out that many fires at once in a classroom. B. (1) Except as otherwise provided in Paragraph (2) of this Subsection, no parish or city school board shall have a systemwide pupil-classroom-teacher ratio in kindergarten through grade three in excess of twenty pupils to one classroom teacher. This is undoubtedly the good and proper thing as far as kindergarten through third grade goes, but it is simply not good to leave fourth through twelfth grades not regulated in a similar manner. In fact, it is a lot more damaging to put middle and high school kids in larger classrooms, especially with the rise of students diagnosed with ADD/ADHD, Oppositional Defiant Disorder, autism, and other social or behavioral disorders. The growing list of accommodations needed to best support these students is increasingly difficult for teachers to keep up with as it is, much less with fewer teachers working and more students filling up the classrooms. As I mentioned last week, Florida felt so strongly about class size that they made it an amendment to their constitution. Even with teacher shortages in certain parts of Louisiana, you can at least stop the bleeding if you implemented a similar reform here, as teachers will recognize that one of their biggest struggles in education will be eased considerably. Granted, Florida’s amendment required a chunk of change to implement, and that would undoubtedly be required here – in order to make class sizes small, you would need to hire more teachers in order to create the smaller classes the bigger ones will be divided into – but it isn’t like we don’t have room to cut elsewhere. As I said last week, it’s not that I oppose Edwards’ pay raise scheme (disclaimer: I’d get less than $100 extra per month too! ), but for him to claim that it is an effort to make teachers’ lives easier is dubious at best. I would much rather see class size reforms, as well as a host of others, be pushed as a larger education package. Even better, I would love to see Republicans push these reforms along with the list of cuts necessary to pay for them and the teacher pay raise, and put that in Edwards’ hands. It would be nice to see the majority party in both chambers actually force Edwards to make a concession, rather than the other way around. After all, as much as I want to see these changes I do not want new taxes to be levied in order to pay for them. 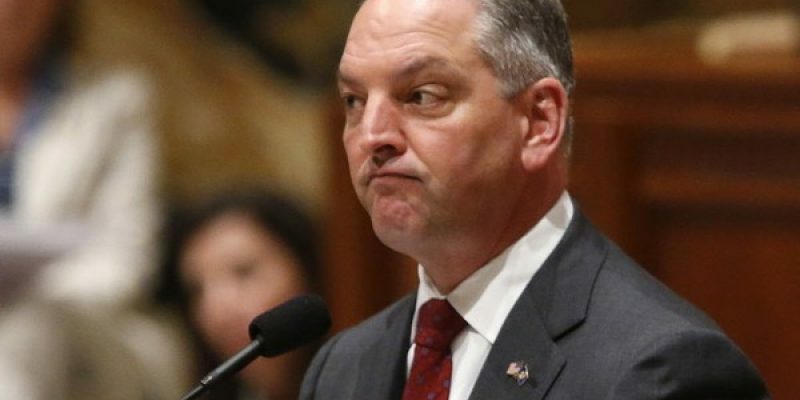 It’s pretty much guaranteed that those new taxes would be declared “not enough” in subsequent legislative sessions by Edwards (should he get any more legislative sessions after the 2019 election), and that would just… well, it would end up in more of the same dog and pony show that got us fiscally where we are today. It would be nice to see Republicans take the education fight to Edwards, rather than be forced to go along with his union pay-off scheme.